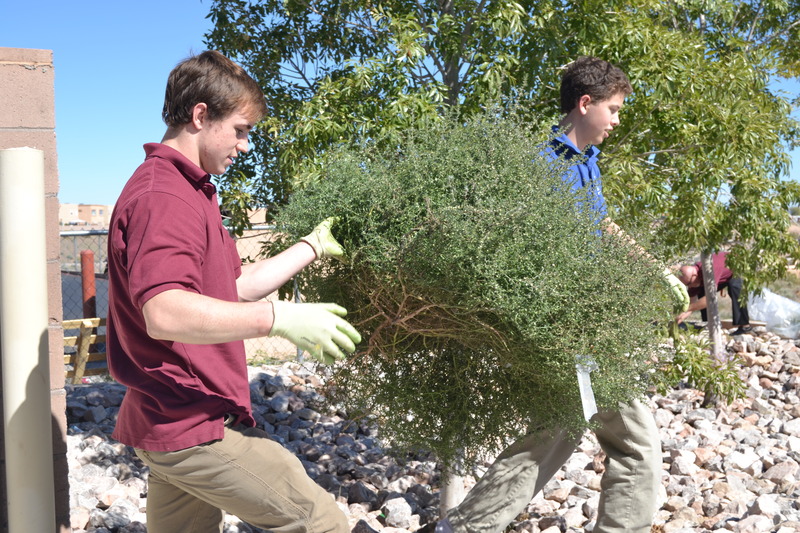 Members of NHS beautified the campus this week. 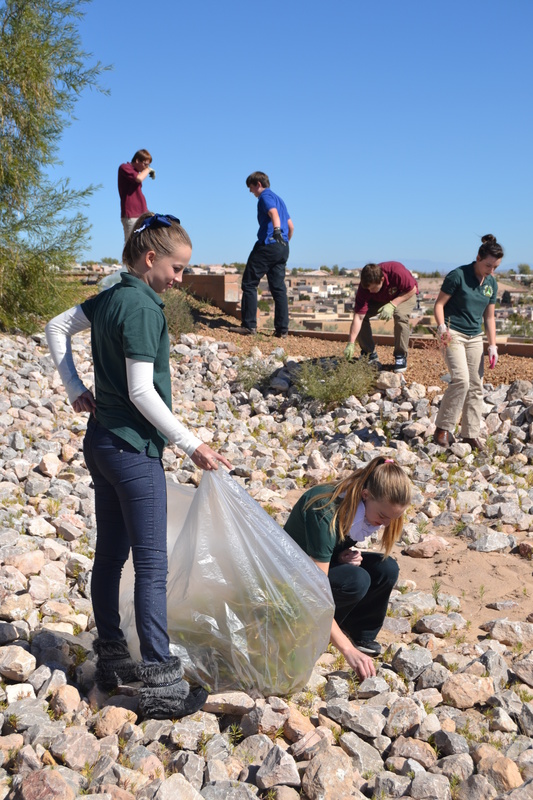 Members of The National Honor Society spent their lunch on Tuesday cleaning up the campus landscape and picking up trash and weeds due to the lack of custodial maintenance this year. NHS is a high school organization for students who want to excel in the community as well as on their school’s campus. The organization’s foundation is based off of four pillars: leadership, academics, character, and service. This is the second time this year NHS members have given up their lunch to give service to the campus. The ASK chapter of NHS was started last year and is run by project manager Paul Stephenson. In order to be inducted in a student must submit an application, and an executive decision is made based on a student’s GPA, his or her level of community service, and other activities outside activities the student belongs to. Stephenson said the hope for this year is that students can model good behavior for the rest of the campus. He said that the numbers are growing slowly and the council will be inducting new scholars in the Spring. “I think it makes you feel good because you are helping out. Whenever you help out you just get the feeling of responsibility,” said NHS Vice President Sierra Strebe.